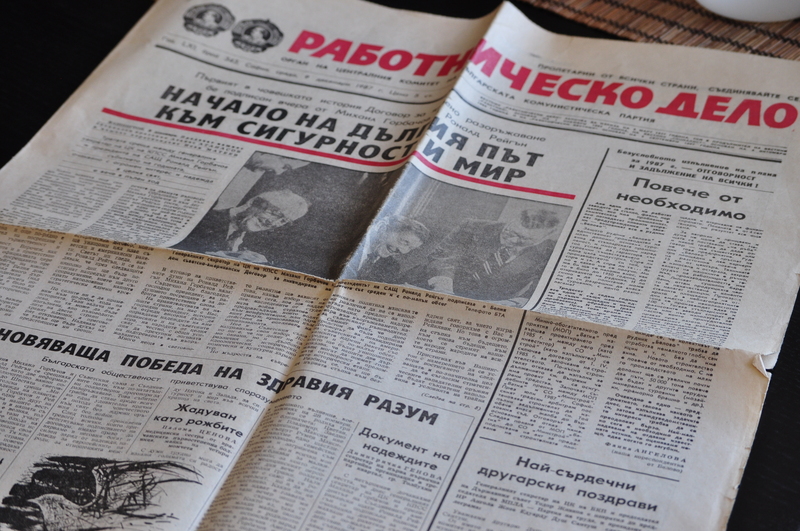 The newspaper Labor’s affairs (or Rabotnichesko delo in Bulgarian) was issued in Bulgaria in the period from 1927 until 1990. 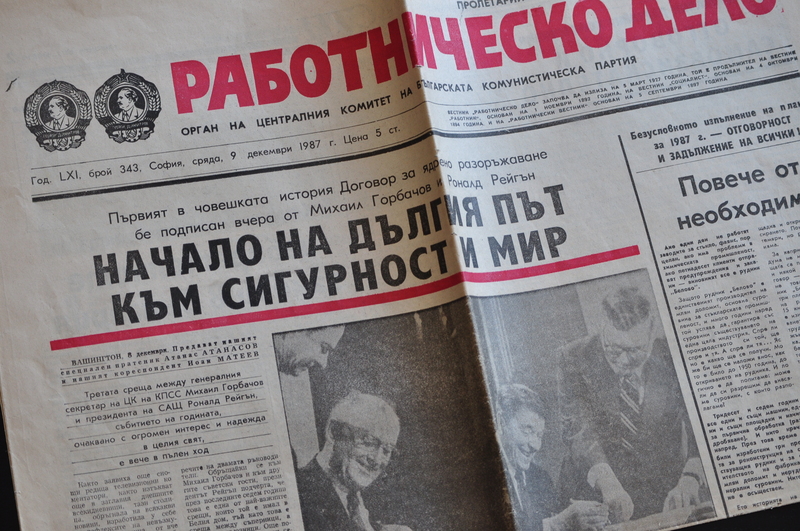 This newspaper used to cost 5 Bulgarian coins and in this issue there is the photo of Mihail Gorbachov and Ronald Reagan signing in the White House the first in the history Denuclearization Agreement. Years are passing by but the paper and photos are here to remind us of the history events from the near past. And for good or bad history is to be remembered. On the last page there were the sport news, the weather forecast and the TV program. In the past we had only 2 TV channels. And the second one was broadcasting only in the evenings. No tough choice to make what to watch on the TV. Today like in most other countries people in Bulgaria read the news mostly online or they watch TV. It is rare that people buy paper newspapers and the newspaper and magazine kiosks are rare to see, mostly in the countryside where the Internet mania is still not well spread. If you want to keep this newspaper as a souvenir from your stay in Bulgaria, please let us know and we will provide you with it. Enjoy your stay in Bulgaria and your trip with us!